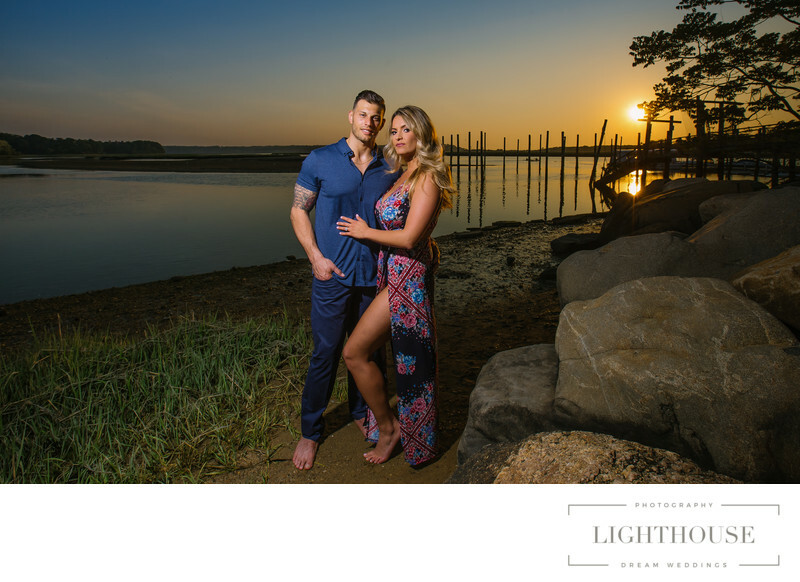 Wondering what beach spots Long Island wedding photographers choose for photos? We’ve rounded up nine favorite beach spots, from Fire Island to Montauk. Whether you’re having a seaside wedding or not, many Long Island couples want to get beach photos on their wedding day. We don’t blame them! Long Island is full of beautiful beach spots. But depending on the time of day, time of year, your style, and your budget, it can be hard to know where to go. If you’re trying to find the perfect spot on Long Island for your beach wedding photos, we’ve got you covered. When you hire a Long Island wedding photographer, you’re getting the benefit of years of insider knowledge and local experience. Even if you already have your venue picked out (let’s be honest, you probably do!) your wedding photographer can still offer advice on where to head for bridal, couple, and group portraits before or after the ceremony. No matter what wedding photography style you’re looking for, how big or small your group is, and whether you want somewhere private or open to the public, Long Island wedding photographers know the best spots for perfect beach photos. Located on the North Shore in the town of Brookhaven, Cedar Beach is a pretty, rocky, relatively secluded spot where you won’t find tons of people wandering around. 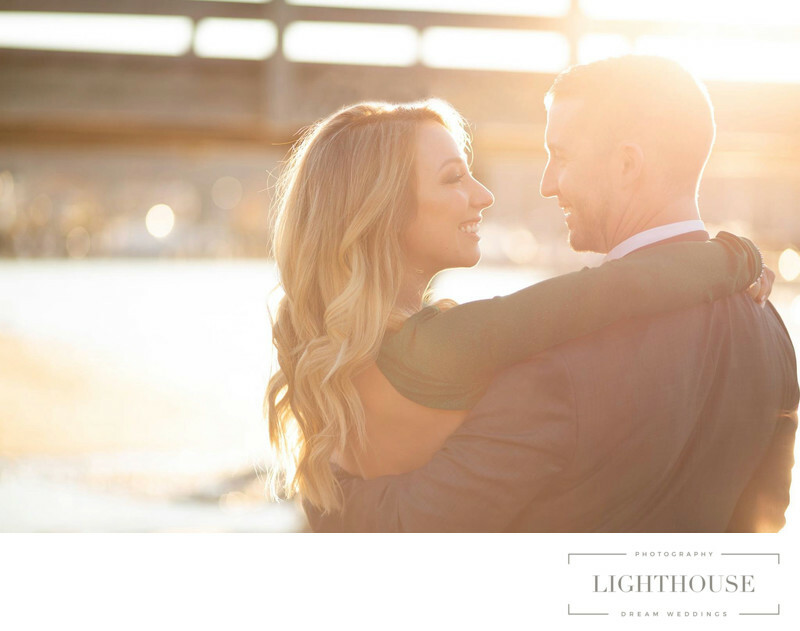 Between the beach, the walking trails, or the pier, it’s the perfect place to stop for some portraits — especially if you want to catch a stunning sunset backdrop. The Montauk Lighthouse is a Long Island landmark for good reason. Located at the very eastern tip of the island, it is both historically significant and utterly charming. A stroll on the beach below the point offers the perfect opportunity to take advantage of the stunning sea view in one direction and the picturesque backdrop of the lighthouse in the other. If you want your ocean views to be both beachy and nautical, head to Sayville Marina Park. A favorite of many Long Island wedding photographers, this charming spot offers boat docks and a sandy beach for strolling. If you don’t have an Islip resident recreation card, there is a small fee per car. But the southern views toward Fire Island are more than worth the cost of entry! Ocean Beach is one of the most visited towns on Long Island, and if you’ve been there, you know exactly why. With charming cottages, sandy beaches, and gorgeous ocean views that seem to stretch on forever, it’s one of the best Long Island beach photo spots. If you’re getting married on Fire Island, you won’t want to skip a walk along the shore, especially at sunset. Another Brookhaven spot, Port Jefferson Village meanders down toward the Harborfront Park and local marina. 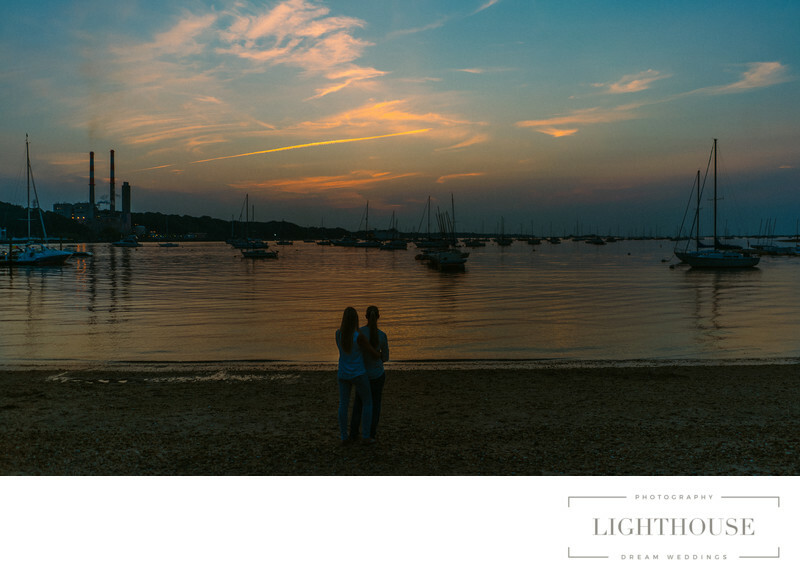 Here, the calm waters of Port Jefferson Harbor provide a perfectly nautical backdrop to your wedding photos, while the East and West Beaches are sandy spots perfect for strolling at any time of day — especially for two newlyweds walking hand in hand! If you’re getting married at this local chateau, you might think you have to give up your beachside wedding photos. But you can still enjoy a sunset stroll by the water if you head toward the Coindre Hall boathouse. Nearby is Gold Star Beach, another perfect spot for sunset views over the water. 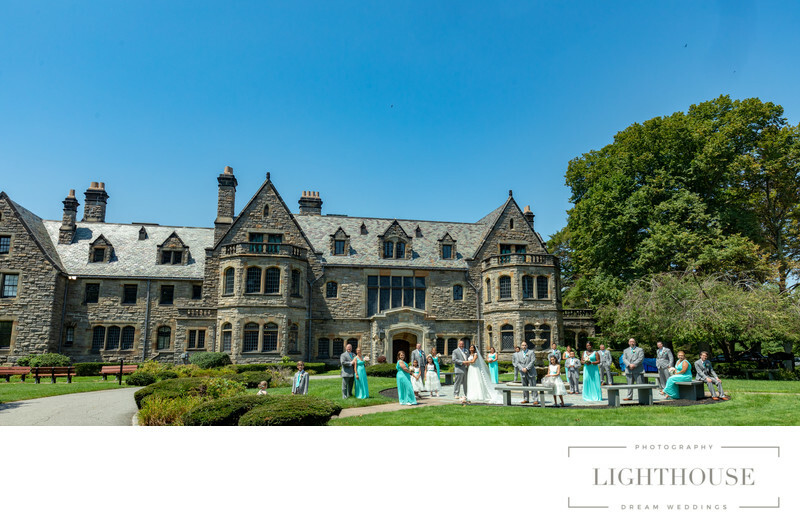 Long Island wedding photographers love the beautiful of Sands Point Preserve, home of four famous Gold Coast era Long Island mansions. Whether you’re getting married at one of these historic castles or visiting the Preserve just for photos, we highly recommend a trip down to the rocky beachfront, where you can capture wedding photos overlooking the Sound. Located on Long Island’s South Shore, West Hampton Dunes is another beautiful barrier island. With sandy dunes, white beaches, and uninterrupted views over stunning blue water, it’s the perfect spot for the Long Island beach photos you’ve been dreaming of. 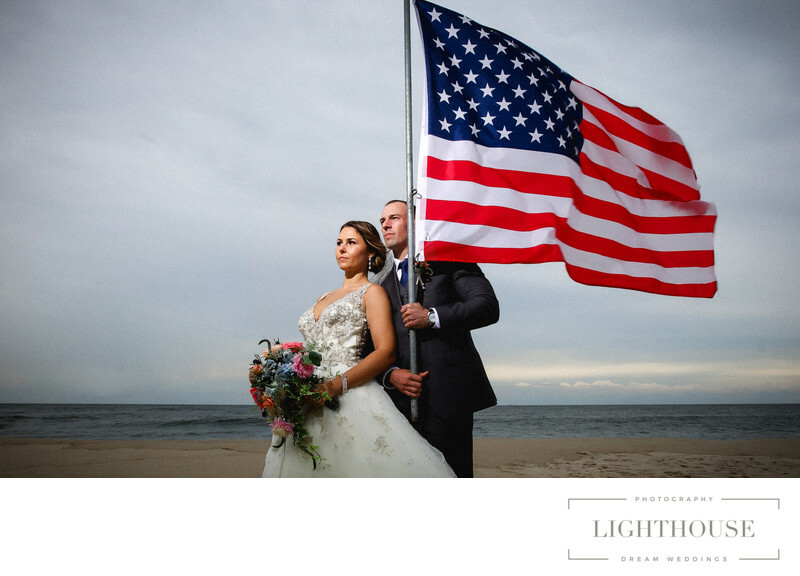 Getting the best photos during your Long Island wedding often depends on knowing exactly where to go to take advantage of the time of day and weather, as well as avoiding as many crowds as possible. And of course, you want to make sure you can get there and back quickly so you can continue celebrating with your friends and family! Not sure where to go? 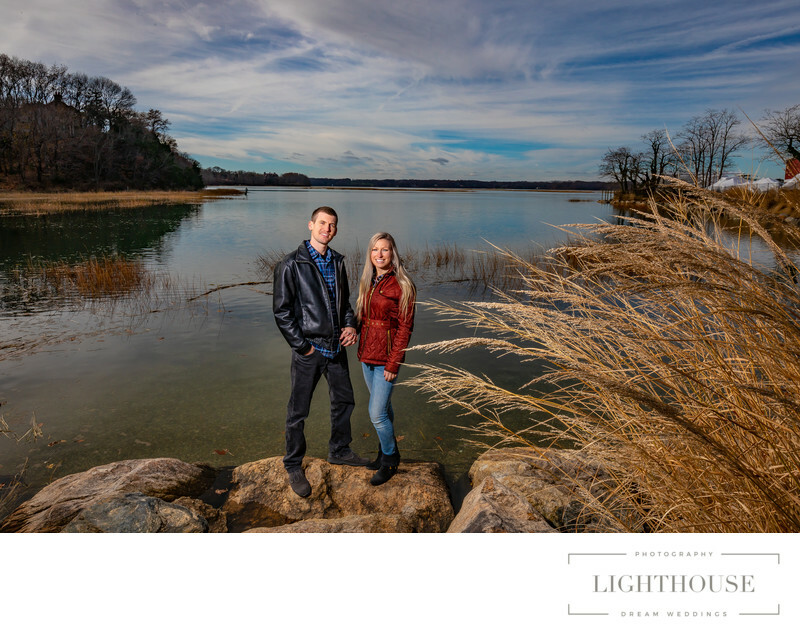 A local Long Island wedding photographer will be able to suggest the best spots and work with you to create wedding photos you’ll treasure. Location: 25 E Broadway, Port Jefferson, NY 11777.